Taking a step back from political theory, students and professors gathered to discuss how they could incite real political action. The discussion, facilitated by psychology professor Craig Haney the evening of May 22, featured prison activists Angela Davis, Robert King, Albert Woodfox and Debbie Kilroy. The panel was promoted as a discussion on mass incarceration and the future of criminal justice reform, although the panelists took issue with the idea of “reform.” Instead, they called for a re-evaluation of how we understand the role of punishment in our society. Davis, a UC Santa Cruz Professor Emerita, civil rights activist, academic and former Black Panther, explained that reform can have problematic connotations because it limits our ability to think critically about the problem of mass incarceration itself. About 200 people were let into the discussion in the Bhojwani Dining Room in the University Center. The crowd overflowed from the seats to stand in clusters against the walls and hundreds more were turned away at the door for lack of space. Robert King and Albert Woodfox are two surviving members of the “Angola 3” who collectively spent over 75 years in solitary confinement in Louisiana State Penitentiary and dedicated their lives to advocating for an end to solitary confinement globally. They spoke on their experiences with the prison-industrial complex from within the system. “Prisons, they way they are today, are immoral and we have to challenge that,” King said. The fourth panelist, Debbie Kilroy, founder of “Sisters Inside” and the first formerly incarcerated Australian woman to become a lawyer, spoke from an international perspective on decarceration. She stressed that decarceration was not just a matter of physically getting people out of prison, but also in limiting the potential of technologies, like ankle braces, that continue to imprison people outside of walled institutions. The overarching theme within the discussion of mass incarceration was the impact of collective political activism. During the question and answer part of the event, many students drew connections between mass incarceration and police violence. Others asked questions about what students can do to incite real change and many left the event feeling inspired. “Action is truly what will impact change,” said second-year Ebrima Sanneh. She elaborated that we have to continue the work of activists have already started and apply what we learn. 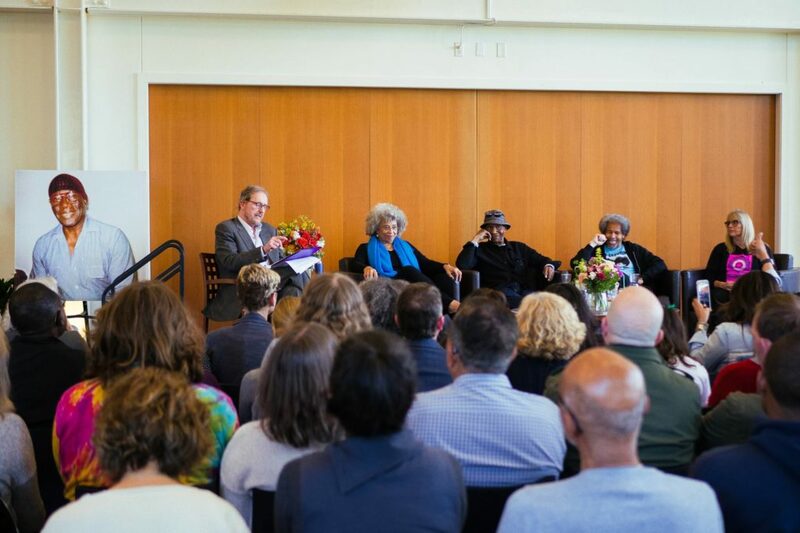 Albert Woodfox and other panelists encouraged attendees to take part in social movements and gather together to create collective change, pertaining to issues including and extending beyond mass incarceration.